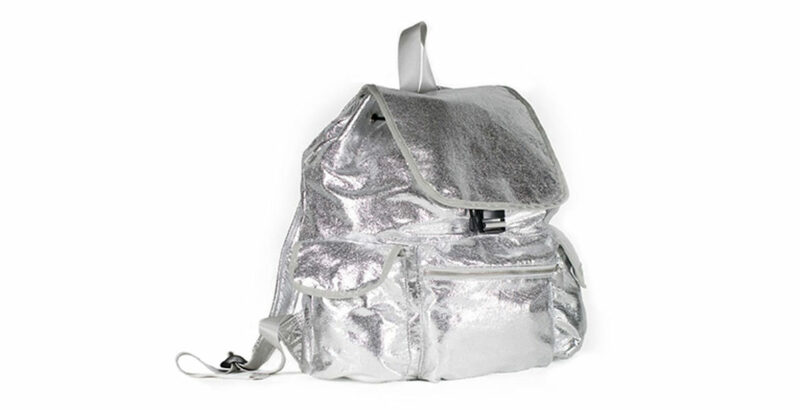 Amanda Busby (a Bleisure Living(TM) style editor) and I selected 12 on-trend backpack styles for the fall. Why stop at just one? 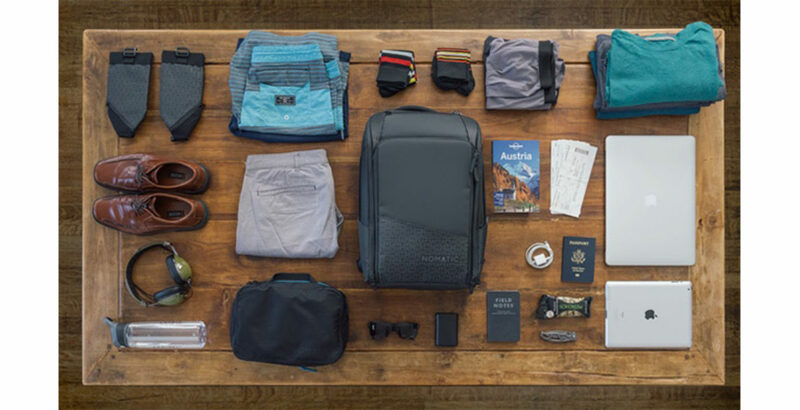 You can pick a precise pack for your place and packing passions. 2. 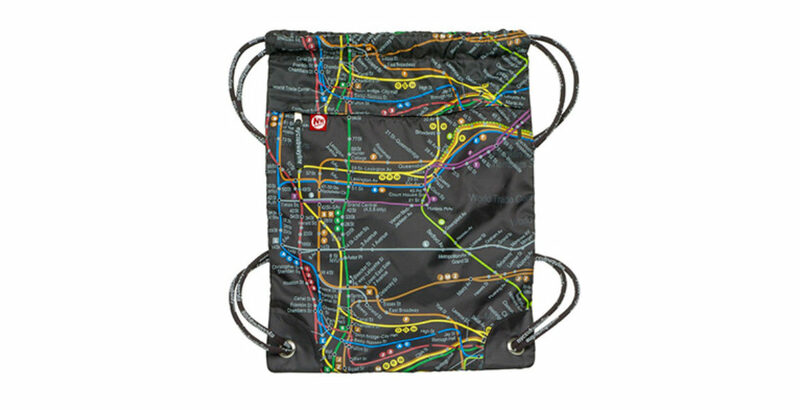 The Ultimate “I Have No Secrets” Bag. 4. Definitely NOT for Conservative Corporate Types. 5. Keep Your Business Rolling! 6. Do You Sparkle and Splurge? 7. Give Back When You Pack Up. 8. Support a Gen Zpreneur! 9. Leave the Clutch…Grab the Pack. 10. For Your Inner European Traveler. 11. Spill Your Starbucks? 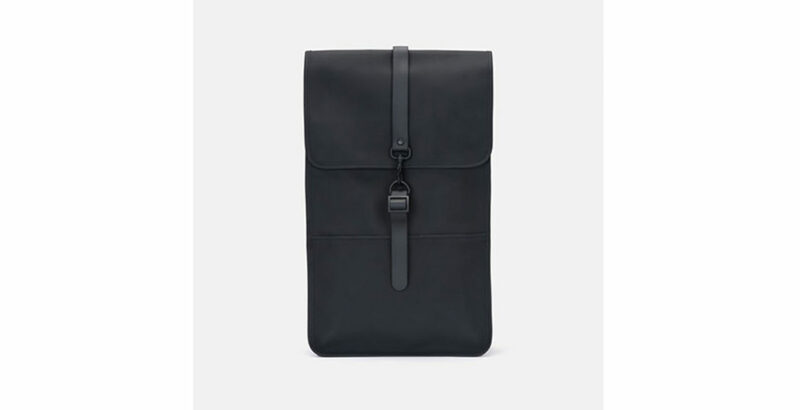 Portfolio-style Bag. 12. Show the World (or at Least the Guy at TSA) That You’ve Made it! 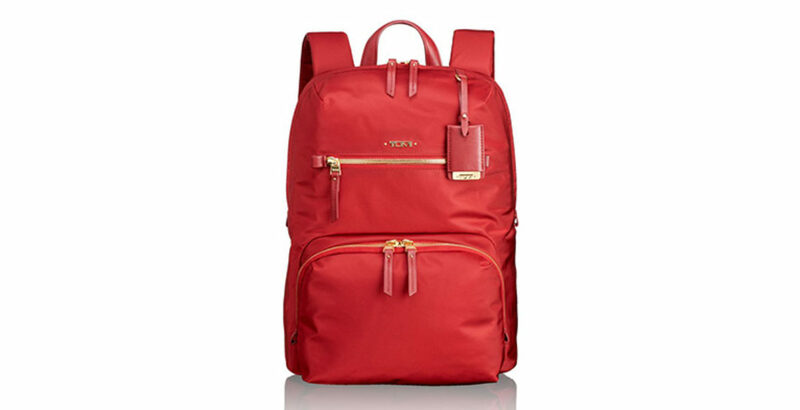 TUMI Bag. The Ultimate “I Have No Secrets” Bag. 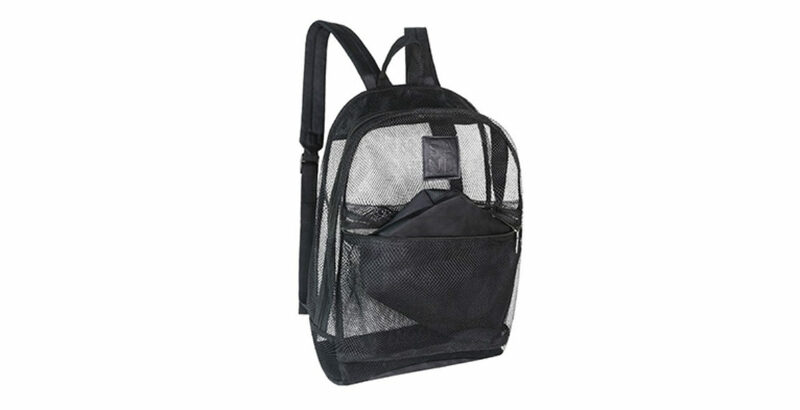 Share your contents with friends and strangers in this see-through mesh carrier. Aptly named SAND, you can take it to the beach (when you’re not working) and shake it out when you’re done. Use code Bleisureloves and you’ll get 15% off the SAND Mesh backpack, SAND Mesh drawstring bag and an active cap. Are You Into Gadgets and Gear? Then the NOMATIC Travel Bag is your bag. The bundle includes all kinds of cool extras, like a Laundry Bag, Waist Straps, Shirt Organizer, Toiletry Bag and Vacuum Bag. Pricey, but you’ll be the coolest dude (or dudette) on your flight. You’ll have to wait though…the company is still raising $$ on Indiegogo…up to $2 million and counting! Definitely NOT for Conservative Corporate Types. The Turleen Trailer Park Queen backpack probably won’t earn you a promotion, but will definitely prompt some lively conversation. Keep Your Business Rolling! 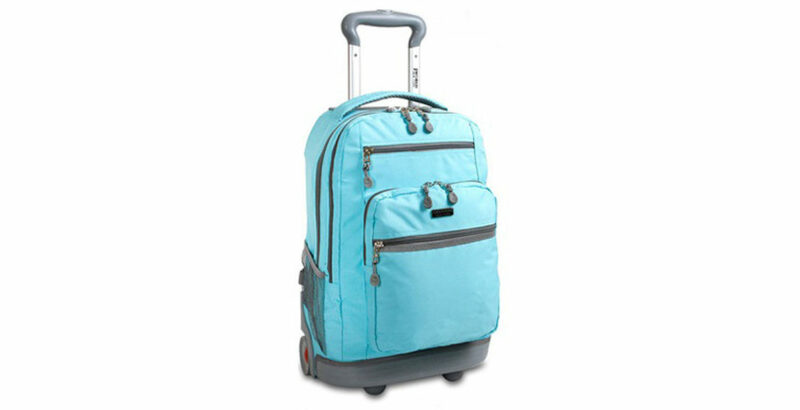 What could be better than a carry-on that fits on your back AND wheels through the airport with the greatest of ease? This one comes in super cool patterns and colors (like seafoam) to fit your style and personality. Just roll with it! Give Back When You Pack Up. While you’re going on a bleisure trip you can help a kid who’s going to school! 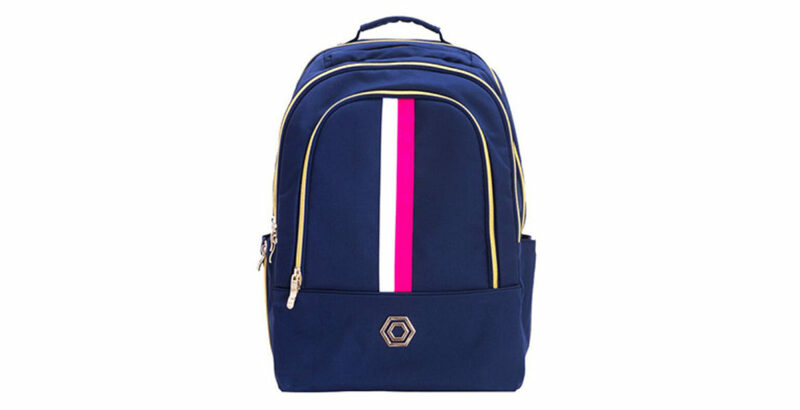 State Bags is a backpack company with a strong social mission. Feel good, look good, and do good! Colorful options bring out your inner child! Support a Gen Zpreneur! Madeline Falknor was a senior in high school when she starting designing bags and founded Madeline & Company. Now as a college sophomore, she runs the business while attending class. Use code BLEISURE for 15% off. Leave the Clutch…Grab the Pack. Going out for an evening after a long day’s work? 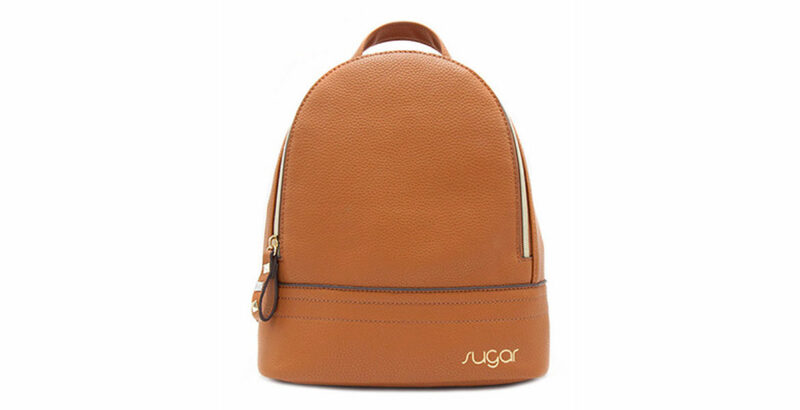 This sophisticated mini-pack from Sugar is more practical than an evening bag — plus you can shake hands AND wield a cocktail at that after-hours event. For Your Inner European Traveler. 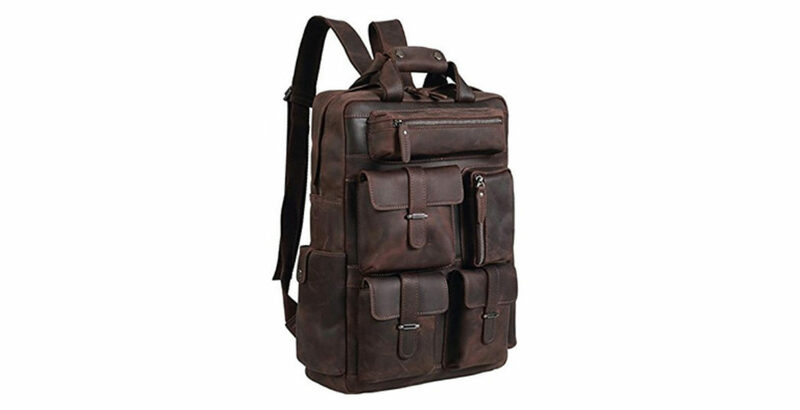 Made of Italian leather, this vintage-style bag will instantly boost your airline cred and packing capacity. Arrivederci! Spill Your Starbucks? No problem. You’ll still look cool with this slim and trendy portfolio style pack. It’s made of vinyl, to stand up to spills and rain showers. And it comes in a wide variety of colors. Show the World (or at Least the Guy at TSA) That You’ve Made it! Tumi is timeless. And, like red lipstick, this hot option will help you stand out in a crowd without having to shout. 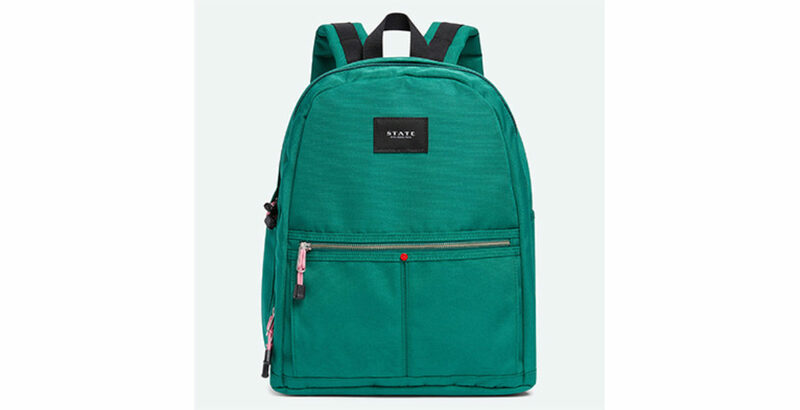 Whatever type of back pack rat you are, investing in a new bag for the fall may snap you out of that end-of-summer slump! Bleisure's Best Finds: Don't Get Hangry...Here's the Rx! Previous PostPrevious Bleisure’s Best Finds: Don’t Get Hangry…Here’s the Rx!